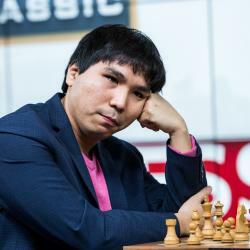 The Philippines chess prodigy, Wesley So has shot up the rating charts in a short amount of time. He is the seventh youngest Grandmaster in history and the Philippines youngest Grandmaster ever. But he hasn’t stopped there: he’s won many tournaments and most recently won a tournament ahead of a field that featured only Grandmasters. Now that he is going to college in the United States, he will have more opportunities for sponsorship and will be competing in many more tournaments in the near future. Wesley So learned to play chess when he was 6 years old but didn’t begin to play in tournaments until he was 9. At a young age he had a very aggressive and tactical style in his games which caught the eye of International Master Rodolfo Tan Cardoso. This attention from such a strong player propelled So forward in his chess playing career. He became a FIDE Master in 2004, an International Master in 2006 and a Grandmaster in 2008. When he became a Grandmaster, he was the seventh youngest ever to receive the title. Since then he has recorded an impressive resume of tournaments won. Most recently he took down the 49th Capablanca Memorial tournament which consisted of only Grandmasters and no less strong players.Recently So has begun to attend Webster University in the United States with help from Susan Polgar and the SPICE program. He still continues to travel throughout the world, winning tournaments and playing terrific chess at the same time.